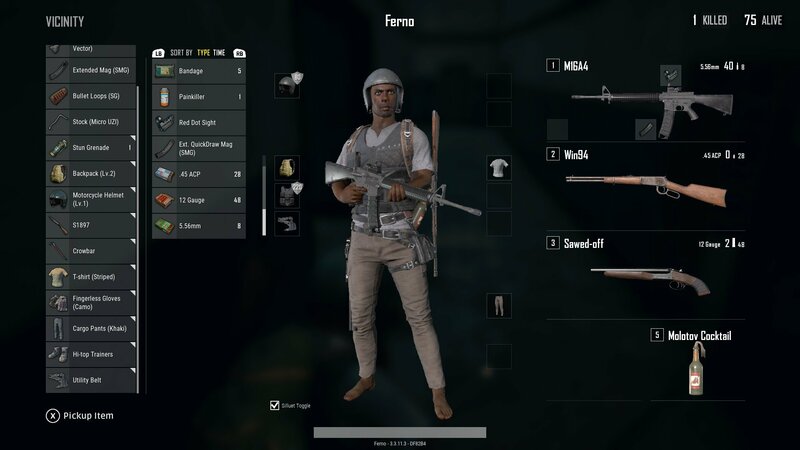 Where to loot, which guns to use and more. 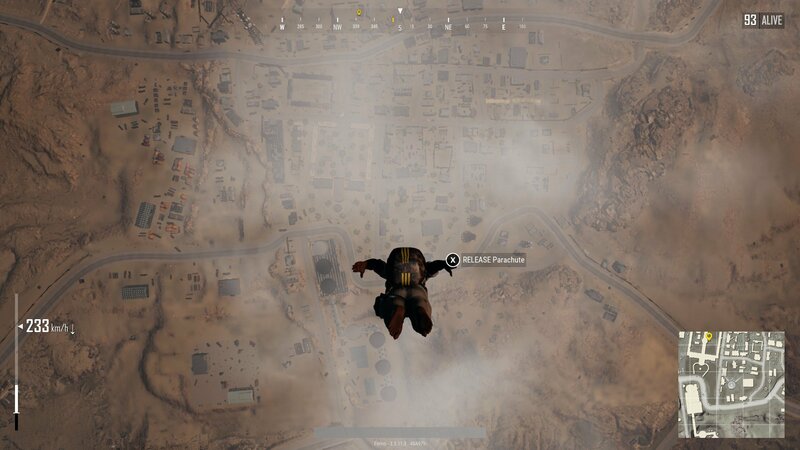 We’ve been teased details about PUBG’s next map for some time now, and at The Game Awards last night, Bluehole finally let us see it in action with the first gameplay footage. The map has now gone live on the PC test servers where we’ve been taking it for a whirl. Whether you’re on Xbox or PC, we’ve got all the details you’ll need to know to keep one step ahead on the sandy dunes of Miramar when it officially releases. The full map offers a huge range of places to drop. Situation at diagonal opposites on the map, Campo Militar and Prispa are your high-value, high-risk looting spots. There’s plenty of room at Campo Militar, but you’ll need a friendly flight path to reach either. Much like on Erangel, even if the flight path doesn't fit it's a legitimate strategy to grab a vehicle on landing and head to either as fast as possible to secure the goods. 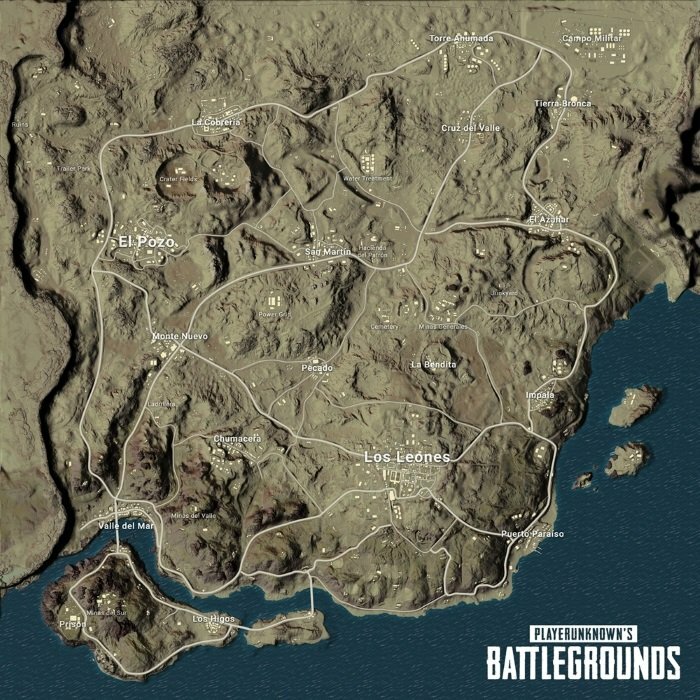 Just be prepared to drive a long way back, as each spot is far less friendly to late-game circles than Erangel’s Military Base island. If you're looking for a straight up fight, this large mansion is the perfect spot to get your feet wet (largely in the blood of your enemies). It's filled with rifles, shotguns and more, and seems set to take the place of Erangel's School as the fighting spot to head to. Not a place to drop if you expect to win every game, it'll certainly get you some action early on, however. Should you win? Well you'll be well set to progress far into the game thanks to the plentiful loot, central location and close proximity to San Martin if more gear is required. The biggest city PUBG has seen yet, Los Leones is, frankly, enormous. This means it’s likely to be a popular drop zone for many players, but the city is so large that you’ll usually be able to find a space for yourself or even a full squad to gear up before you engage. One good spot is the rectangular, government-style building with an open compound surrounded by tall walls in the southwest of the city. Landing on the roof can net you a gun and a solid vantage point to take out anyone landing just a little too late. If someone gets there before you, don’t worry. Tuck underneath the roof and a series of bathrooms and corridors will usually net you at least SMG-grade weaponry. It won’t kit out a full squad, but solo players could do a lot worse than dropping to the central-north Water Treatment. It’s a spot that’ll rarely leave you far to travel for the first circle, and easily contains enough loot for an individual. Plenty of the gear is left out on railings in the open, but we’d recommend heading to the single story compound to start. If anyone else drops here you’ll want to make sure you’re in control of the cover to pick off those in the open before you perform a full sweep for the loot. Power Grid to the south of San Martin offers similar goods, but its location often draws more attention. If you’re looking for somewhere a little larger, San Martin or El Pozo won’t do you wrong. 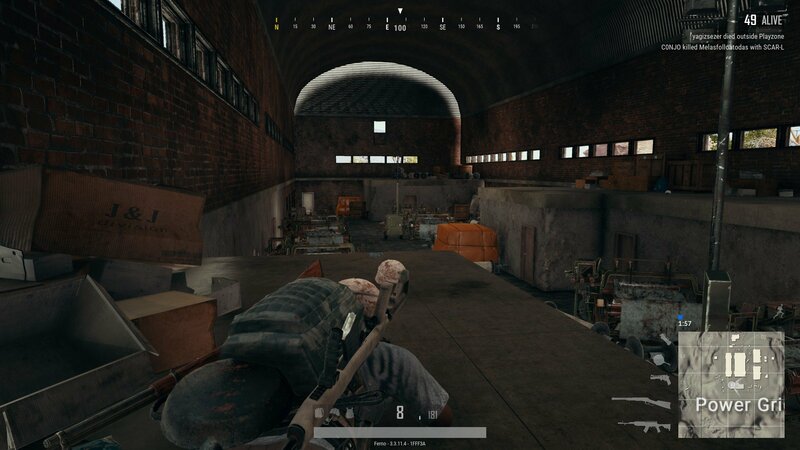 El Pozo is larger and will generally net you better loot — Look for a tall, multi-story building near the centre — but San Martin is about as close to central as you can get, putting you in a great spot to move on the subsequent circles. No matter where you choose to go, it’s important to remember that Mirarmar was built with the new vaulting mechanics in mind. That means a lot of loot, especially the good stuff, may be hidden up on the tops of buildings, or even on levels indoors that you’ll have to climb to. Bear this in mind when searching and clearing compounds, as anywhere you can climb to, other players may be hiding. Diving into the new map. The sawed-off shotgun is one of the most interesting additions to the game. Unlike the primary S686, S1897 and S12K, the sawed-off shotgun is a secondary weapon, meaning it takes what would usually be your pistol slot. 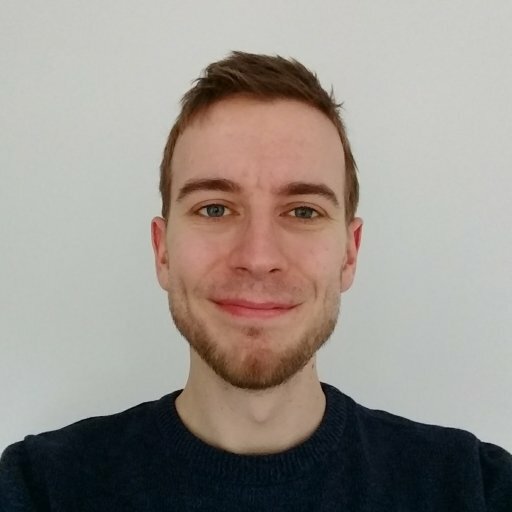 Anyone who’s played a decent chunk of PUBG will know that pistols effectively become worthless once you’ve grabbed two primaries, so you’ll often see that third slot wasted further into the game. The sawed-off is an extremely short range, high damage variant, giving your third weapon some real purpose. What this effectively means is that you can carry a primary rifle, secondary rifle, SMG or Sniper and still have room for a shotgun to get you out of trouble up close. It’s got just two shots, can’t take attachments and means you’ll need to lug some extra 12 gauge around, but it’s well worth grabbing this little fella if you’re given the chance. In Miramar’s myriad cities and towns, it’s a deadly early game drop, easily capable of downing an enemy in tight corridors and when played close to corners. Unlike other shotties, it deals lower damage but can fire both rounds extremely quickly. Great if you can catch someone by surprise. The Win94 makes a great backup, with the Sawed-off taking up the pistol slot. The Win94 is another odd addition. 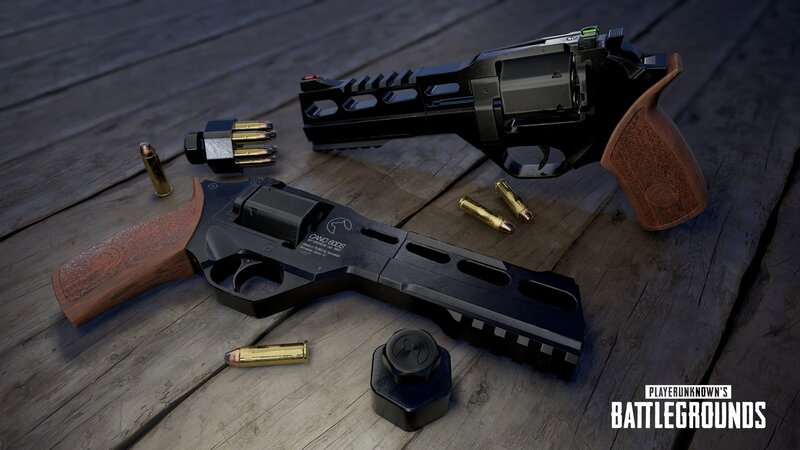 A lever action rifle, it holds eight shots and uses the .45 acp ammo typically reserved for pistols and the Vector or Tommy gun SMGs. These are low damage weapons, but don’t mistake the Win94 for falling into the same slot. While it’s technically a rifle, it can’t take any attachments, meaning you’re reliant on iron sights to help you aim. The Win94 therefore fits into an unusual short-to-medium range category, and is best wielded by skilled players more confident in their aim. The Win94 will serve you best when treated almost as a longer range shotgun. The gun does wonders when aiming without looking down sights, and will comfortably down low armor opponents in a couple of shots. We expect some crazy, longer range kills to appear on the internet in time, but this is another weapon that’ll prove most useful early on in Miramar’s dense city streets. Just be aware of the lengthy reload time. The R45 is a new pistol to the game, replacing Erangel’s R1895. Much like the Win94, this revolver uses .45 ACP. It only holds 6 bullets at a time, but fortunately comes equipped with a speed loader, meaning you’ll be back in the fight far faster after expending your rounds. Another high-skill weapon, the R45 requires careful aim to reward its high accuracy and damage. Miramar doesn’t just bring exclusive weaponry to the table, it’s got a few of its own vehicles, too. There’s no much you need to know in advance, but it’s worth knowing they exist at the very least. 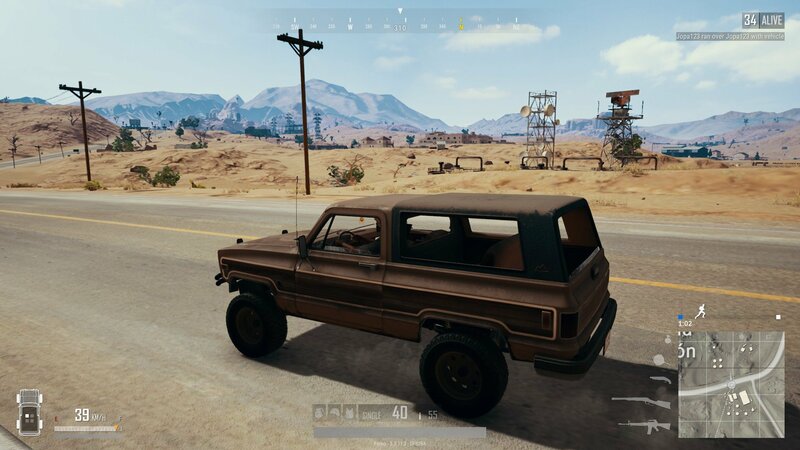 Miramar has two new cars you won’t find on Erangel, a six-seater minivan and a four-seater pickup truck. The pickup is one of the most stable vehicles in the game yet, so is perfectly suited for Miramar’s rocky terrain. Why would you want a van with six seats? To offer enemy squads lifts of course! The pickup truck in action. Also new to the game is the wooden-veneer jetski, or as we like to call it, the cloggski. It’s a nippy two seater, and also appears on Erangel where you’ll likely get more use out of it, given the island nature of the map. Still, it makes for an unexpected route onto or off the Prispa island on Miramar. Miramar is filled with hilly and rocky terrain, which provides excellent cover towards the final stages of a match. On Erangel, securing a central building was a strong strategy to place highly in rounds, don’t be afraid to set up in rocky outcrops instead here, as building are often placed on lower ground without good lines of sight. Vaulting lets you reach sneaky places like this.